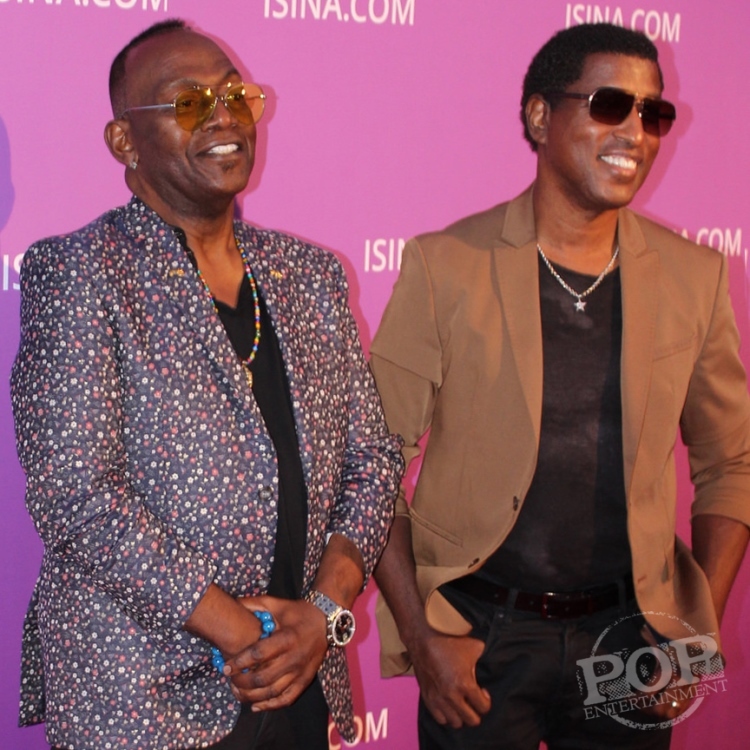 Randy Jackson and Kenny “Babyface” Edmonds at the Isina Global Gala. This one-of-a-kind talent search is different than the typical star hunt, because it gives the artists immediate access to the biggest producers, labels and booking agents in the industry. Isina can – and it will – help artists reach their full potential. The Isina Global Gala was the kick-off of a six-week program in which chosen competitors had the chance to participate. During the Global Gala, the competitors became the special honorees of the evening. They walked the red carpet, posed for the photographers, and introduced themselves (many, for the first time) to numerous media outlets. While on the red carpet, we chatted with a wide array of artists – from young actors, to the honorees, to aspiring singers, and seasoned GRAMMY vets. We loved getting to know everyone. It was evident that they felt extremely blessed to be a part of the evening. Once the red carpet concluded, we went inside to the Gala. The interior was decked out with multi-colored lights, shiny chandeliers and a huge stage as the center piece. We spoke with the artists more, learning about their careers and about how excited they were to start their Isina experience. We loved getting to listen to them talk about their future plans for the coming weeks. The chit-chats were followed by the premiere performance of the Isina artists. They all came together for the first time to showcase their voice for everyone, a very stunning kick-off to their six-week experience. Once the performance concluded, the attendees filled their stomachs with amazing food and mingled some more. Unfortunately, the night had to come to an end, but it was something that we will never forget. Now that we have heard about this amazing program, you may wonder how one gets to be a part of Isina. The answer is simple: Four steps. First, an artist must record their demo to show off their individual sound and style. For it to be seen, they must next upload their demo to the worldwide talent search so that it can be heard and judged by industry experts. After they upload it, they will receive a review from the team of mentors (which is super cool). Lastly, those that are chosen will have a chance at a six-week music mentorship program with industry professionals in Los Angeles. All expenses paid. While in LA, the thirty chosen artists will be assigned to one of five categories: Vocalists, Songwriters, Instrumentalists, DJs and Producers. I must mention that there are VERY qualified music industry mentors assigned to each category. The mentors include Babyface, Kenny G, Walter Afanasieff, Humberto Gatica and Paul Oakenfold. Together they have taken home 37 Grammys. We can’t wait to see where the competitors go in the future, and we look forward to seeing Isina grow. Check out the video and photo gallery below! Gabriela Lopez at the Isina Global Gala. Ida and Zafar Saidkariev at the Isina Global Gala. Lenoxx at the Isina Global Gala. Mason Trueblood at the Isina Global Gala. Milana Newway at the Isina Global Gala. Natalie Adler at the Isina Global Gala. Tags: 2017, Babyface, Beverly Speiss, Culver City, DJs, Gabriela Lopez, Global Gala, Grammy, Humberto Gatica, Ida Saidkariev, Instrumentalists, Isina Global Gala, Kenny Edmonds, Kenny G, Lenoxx, Mason Trueblood, Milana Newway, Natalie Adler, October 10, Paul Oakenfold, Producers, Randy Jackson, Samantha Speiss, Songwriters, talent search, television, Unisi Casa, Vocalists, Walter Afanasieff, Zafar Saidkariev. Bookmark the permalink.